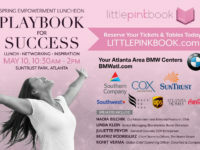 VOTE for your top woman in philanthropy — the winner’s organization will be the featured nonprofit at Little PINK Book’s 3rd annual Spring into Ownership event! Voting is open from Jan. 23 to Feb 3. It’s one thing to give to charity or volunteer on weekends. But it’s entirely another to dedicate your life to assisting those in need and improving people’s lives. 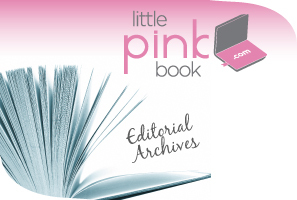 Welcome to Little PINK Book’s list of Top 11 Women in Philanthropy. These inspiring women are volunteers, advocates and caretakers for those suffering from disease, famine, poverty and lack of access to education. Though experts say female philanthropists often get “less recognition than men,” they give nearly twice as much of their income to charity as men do – 3.8 percent vs. 1.8 percent – according to a Barclay’s Wealth study. Plus, gift values donated by women-led organizations have increased by 25 percent in the past few years, according to the Women’s Funding Network. The women and their organizations provide medical aid, education, electricity, jobs and more to communities across the globe in places like Uganda, Haiti, China, Rwanda and the Democratic Republic of Congo. The featured women were selected based on their position at the nonprofit, the scope of the organization and their tireless level of commitment and passion for helping others. They are: MedRebels Foundation’s Shay McBurney, Dove Missions’ Liz Sunel, Do Something’s Nancy Lublin, Rockefeller Philanthropy Advisors, Inc.’s Melissa Berman, Solar Sister’s Katherine Lucey, One Hundred Days’ Kelli Sasser, Sow Hope’s Mary Dailey Brown, Itsatwist’s Isabel Garreton, CASA’s Dilys Garcia and the Eating Disorder Information Network’s Lisbeth Rhine. “When times are tough,” says Lucey, “give yourself away and lose yourself in purpose.” We asked these women what inspires them, how they got started, where they turn when times get tough and their goals for the future. Melissa Berman, President & CEO, Rockefeller Philanthropy Advisors, Inc.